Salamander Trust was delighted to be part of the launch of the “Rights, Camera, Action” films launch at the Royal College of Obstetricians and Gynaecologists. 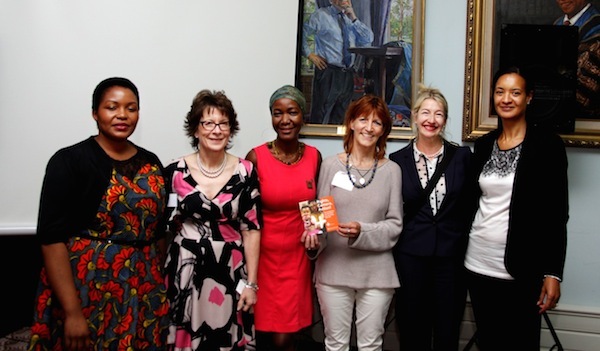 The event was hosted by Professor Lesley Regan, Vice-President in charge of Strategic Development of the College, who is also Co-Chair of the Women’s Sexual and Reproductive Rights Committee of FIGO. It was organised by Positively UK, in liaison with the College. The films* showcase the work of Positively UK’s ground-breaking “From Pregnancy to Baby and Beyond” project, which is created and led by women living with HIV who have gone through pregnancy and childbirth whilst knowing about their HIV status. This peer mentor programme provides support for other women with HIV, either newly diagnosed during pregnancy or wishing to have a child, once already diagnosed. Salamander Trust is delighted to play a role in showcasing this world- class programme. To read more about the whole film-training programme and the whole project, and to see how to obtain a copy of the DVD and accompanying handbook, click here.